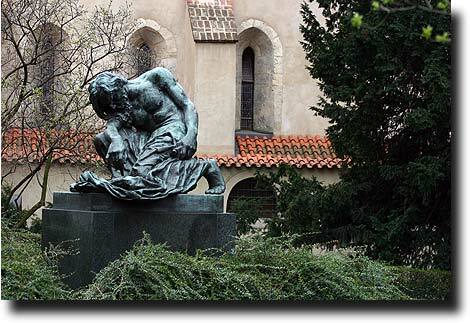 Prague was famous for its Jewish district. A place that Jews were gradually required to live in beginning in the 14th century, there are many buildings and memorials to the people who lived in Josefov, as this quarter of the city was called - named after Joseph II, the ruler who began to relax some of the discriminatory laws in place. 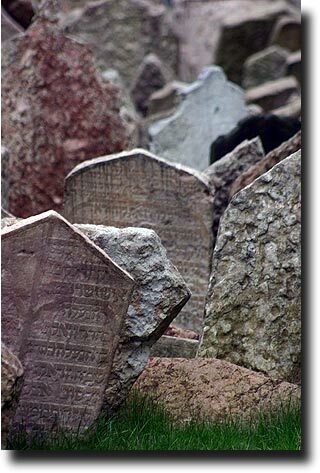 Europe's oldest surviving Jewish cemetery was founded in Prague around 1480. 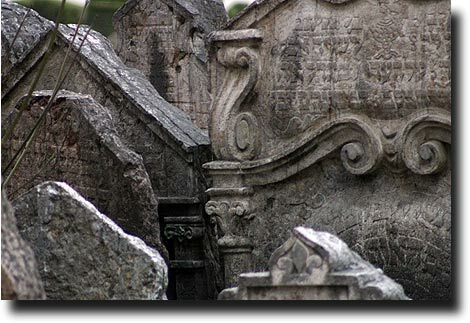 Because space in the area was limited, the cemetery was 'reused,' and coffins were placed above older graves - up to 12 bodies deep in places. 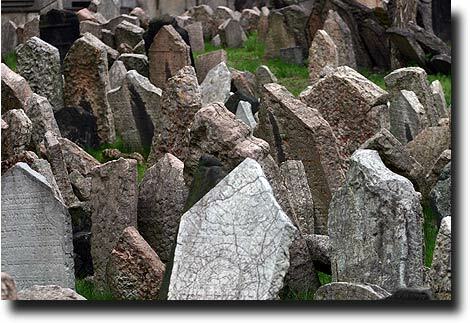 By the time the graveyard was last used (in 1787), there were some 100,000 people buried there but only 12,000 gravestones! 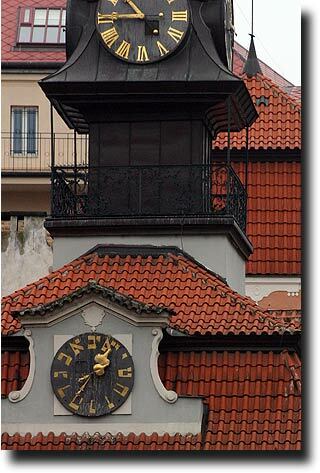 The clock at the bottom shows Hebrew numbers and runs counterclockwise - but apparently keeps accurate time. This section of town seems to still be running backwards in time itself. 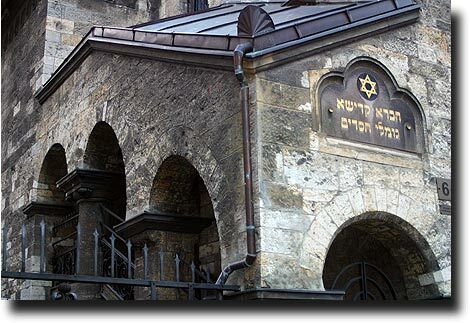 It is a mix of the old and relatively new - such as the Old-New synagogue (from 1270!) sitting behind the statue to the right. 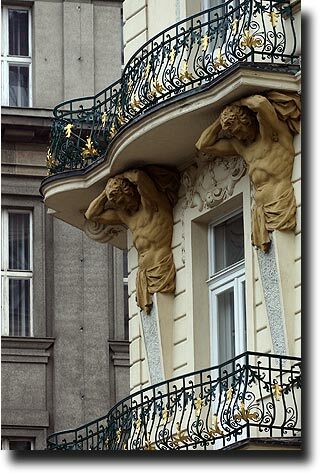 The gaudy balcony-holders just down the road testify to more recent opulence in the area as well.